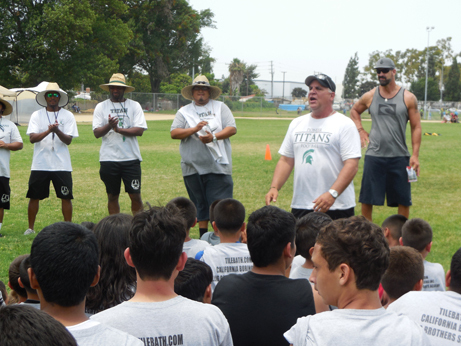 Pioneer High School head coach Chuck Willig speaks to participants during the Titan Youth Instructional Camp, which was held Saturday, June 29 and Sunday, June 30 at Sierra Education Center. 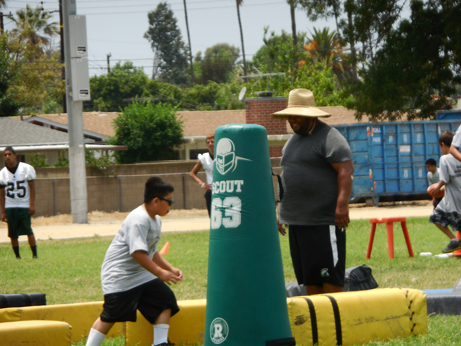 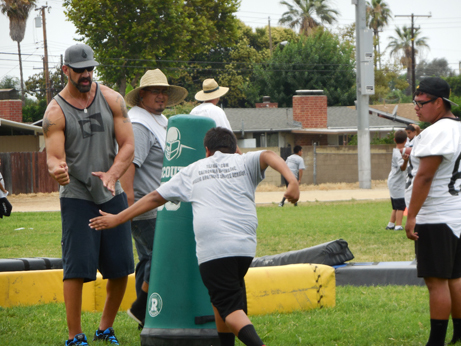 Former USC and NFL offensive lineman Matt Willig talks to the young participants during the camp. 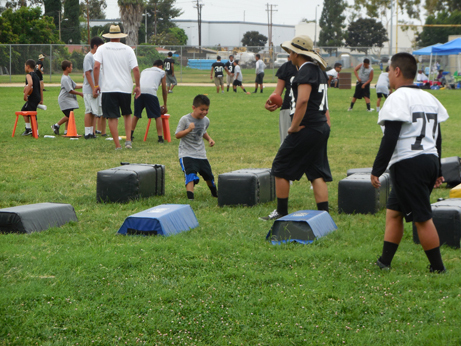 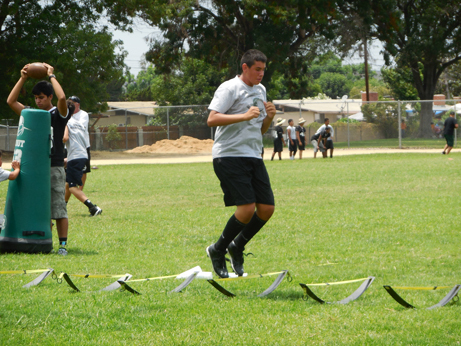 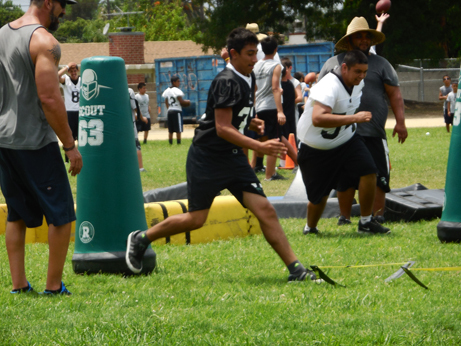 Young Participants test their skills at the Titan Youth Instructional Camp.